How much gas do you save if you only buy five gallons at a time? 1. Get a newer, smaller car. 2. Move closer to work and school. 3. Get a job which allows you to work from home. 4. Don't go to the store for a single item; combine errands. The challenge of these suggestions is that the first three of them have a large start-up cost. 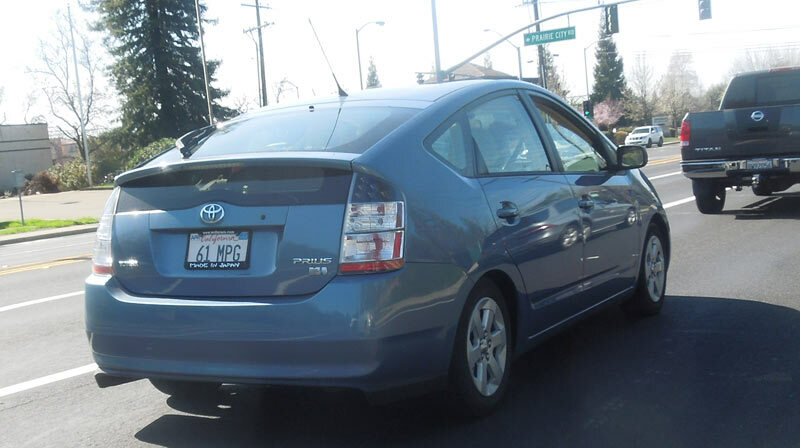 Sure, a hybrid might save me $1,000 in gas this year, but I'd have to pay $3,600 to save it. What works for free? A few years ago, during a gas price bubble, I had an idea for a way to save gas. Here it is: Only buy a few gallons of gas at a time. I knew this about my driving habits: If I was close to running out of gas, I drove more conservatively. I started the car more slowly, drove behind other cars, kept freeway speeds at 65 mph, etc. I kept an eye on the gas guage. On the other hand, if I bought a full tank, I would drop these considerations, driving without regard to fuel efficiency. 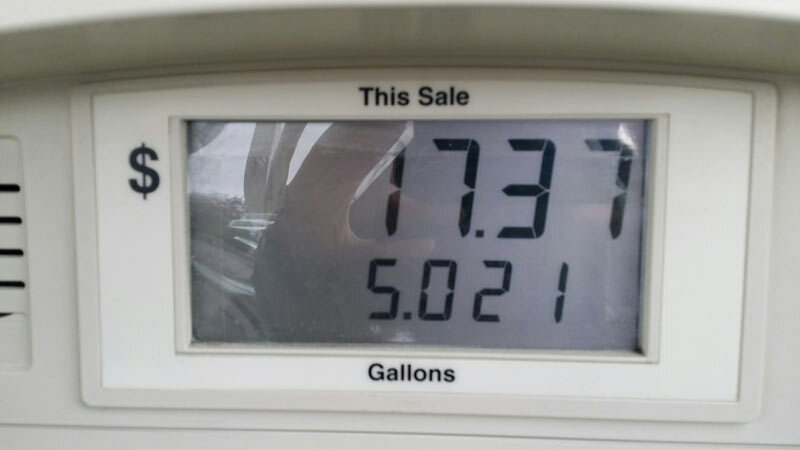 If I kept myself to a five-gallon fill-up limit, how much gas would I save? The experiment started in April. For one month I'd keep careful track of my fuel purchases and miles driven. Then in May I'd switch to buying full tanks of gas and compare miles per gallon. Although a car weighs about 2,200 pounds, perhaps leaving 7 gallons of gas (56 lbs.) at the gas station would help lighten my load and improve my gas mileage. It couldn't hurt... could it? 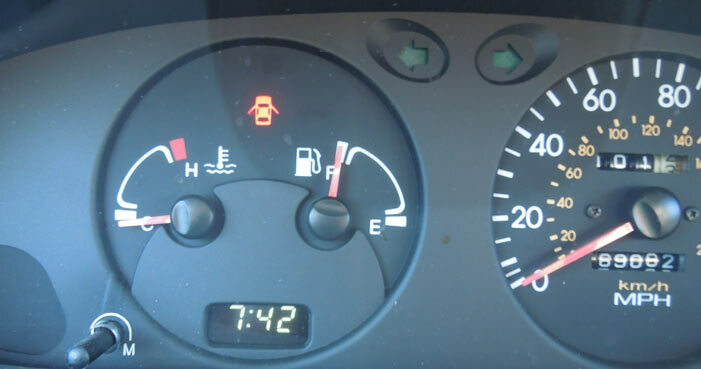 This experiment might just show, how much does your mileage vary when you are trying to save gas? In April, I put gas in my car almost every other day, ten times averaging 5.6 gallons per fueling. I drove 1,550 miles and used 56.5 gallons of gas, for a final combined MPG of 27.4 miles per gallon. In May, I filled up the tank. I stopped for gas five times, averaging 10 gallons per fill-up. I drove 1280 miles and used 50.1 gallons of gas, for a combined MPG of 25.5 miles per gallon. Yes! My mileage went down when I filled up the tank, compared to limiting myself to five-gallon servings. Between April and May, the difference in my MPG was 2 miles per gallon. I had driven different distances each month, but it was easy to compare them if I used that mileage difference on an average month of travel. What does that mean in dollars? In a month of driving 1,415 miles, an increase of two MPG means that I'd use 51½ gallons of gas instead of 55½ gallons of gas. At $3.90 per gallon, that's a savings of $15.60. Not bad! By rationing myself to 5 gallon fill-ups, I could save about $15 in a month. The downside was that I had to stop twice as often for gas. I wouldn't want to always buy gas like that, but in an emergency, it is a no-cost way to reduce fuel use. Want to Save Gas? Drive Slow.